This is my personal blog where I will share my experiences as a caregiver, the experiences that my husband and I have shared as a couple since he returned from war with serious injuries, and the experiences that we have had with agencies as we’ve negotiated care for his personal and other needs. Goodson Consultants, LLC © 2016. Unauthorized use and/or duplication of this material without express and written permission from this site's author and/or owner is strictly prohibited. Excerpts and links may be used, provided that full and clear credit is given to Precious Goodson, EdD and A Military Caregiver's Journey blog with appropriate and specific direction to the original content. Copyright 2019 War Changes Lives: A Military Caregiver's Journey. The natural disasters including the hurricanes in Texas, Florida, and Puerto Rico have caused grave and abiding turmoil, and been devastating. Thousands of people have been uprooted from their homes and have lost all their belongings; many people have suffered physical injuries and a number have lost their lives. Hundreds, if not thousands of people are rebuilding and some must start over. I am sad to say that I know of caregivers who were also personally affected by these disasters; the storms have spared no one. Many questions tugged at my heart during this very difficult time for my friends and loved ones, most specifically, what are they doing for assistance? Jacksonville, FL is my hometown. My husband and I just happened to be in JAX visiting family on Labor Day weekend, when threats of Hurricane Irma began to cause havoc in the city. While we were there gas and water were scarce commodities, fights for gas were frequent … we were relieved when it was time to go home, and didn’t mind encountering the bumper-to-bumper traffic that we ran on I-75, due to the many evacuations from FL to get to safer ground. And, even with the much lighter threat of a hurricane coming through my state, we still had to go through many preparations, including locating and buying water, creating emergency kits for our family, securing patio furniture, and more. Most importantly, however, were my concerns for my husband during such a potential disaster. As his caregiver, I had to be especially aware of tiptoeing around him to make sure he was as calm as possible during this otherwise stressful time. It was crucial to keep things as routine as possible although a hurricane was headed our way, to prevent him from experiencing agitation, frustration, irritation, and the other behaviors that come from his invisible war injuries, and from a changed daily routine. I kept wondering how other caregivers were facing these same dramatic weather events— how many of them had to evacuate their homes and cities, how many of them had to help calm loved ones with mental and cognitive conditions under such frightening circumstances? How many would opt to stay at home to sit out the storm? How would they fare in the aftermath of the storm? What were the resources that were helpful: A local church? Community services? Non-profit organizations for wounded warriors? Patti Katter and her husband Ken were among caregiver families affected by the storm. They left their home and spent time with a friend and veteran. Patti mentions that staying with another veteran helped her husband and relieved some anxiety of leaving her home behind during the storm. It is great to know that they are safe. The Red Cross is also offering relief to those affected. Click here for more information on the Red Cross’ hurricane relief efforts. Let’s continue to remember those families affected by these natural disasters. Get my latest blog posts emailed directly to your inbox! Two quick steps to join: 1) complete fields below; 2) check your email and click confirm! More Holiday Tips for Caregivers! Dr. 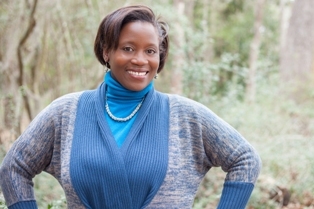 Precious Goodson is a Caregiver Dole Fellow Alumna with the Elizabeth Dole Foundation. She holds an EdD in Education/eLearning, M.Ed. in Technology in Education, and Ed.S. in Technology in Education. She also holds a B.S. in Early Childhood Education. She first started her writing career by journaling and is now working on a book about military caregivers.